‘Get up at 4am’ they said. ‘Make sure you start before sunrise’. I’m a freelancer who has got very used to managing her own hours. Often working late in the evening and rolling out of bed, blurry-eyed and stumbling to my desk, 2 minutes before 9am. But if my trip to Australia’s Northern Territory has taught me anything, it’s this – some things are worth getting up at unholy hours for. On our first morning at Kings Canyon Wilderness Lodge I dragged myself from my ‘glamp bed’ shortly before 5am and we set off towards the start of the Kings Canyon Rim Walk. We didn’t quite make it there before sunrise. Rather, we chased the first pink rays of sun along the empty road as we made the 30 minute drive from the lodge to the national park in subdued silence. 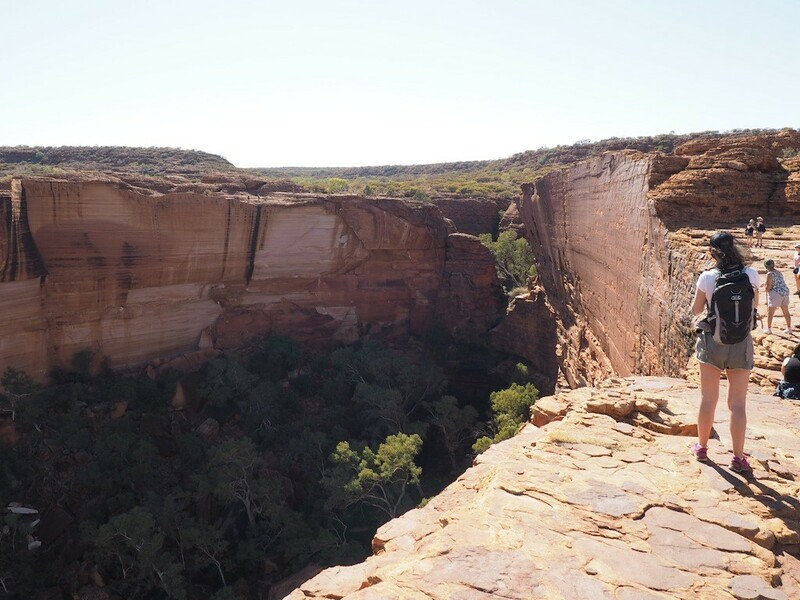 The Kings Canyon Rim Walk is a 6.5 km/3.5 hour trek. You’re advised to start early as the second half is pretty unshaded; most people want to make sure they have completed it before 10am and you’re prevented from starting after 9am due to the harshness of the sun. 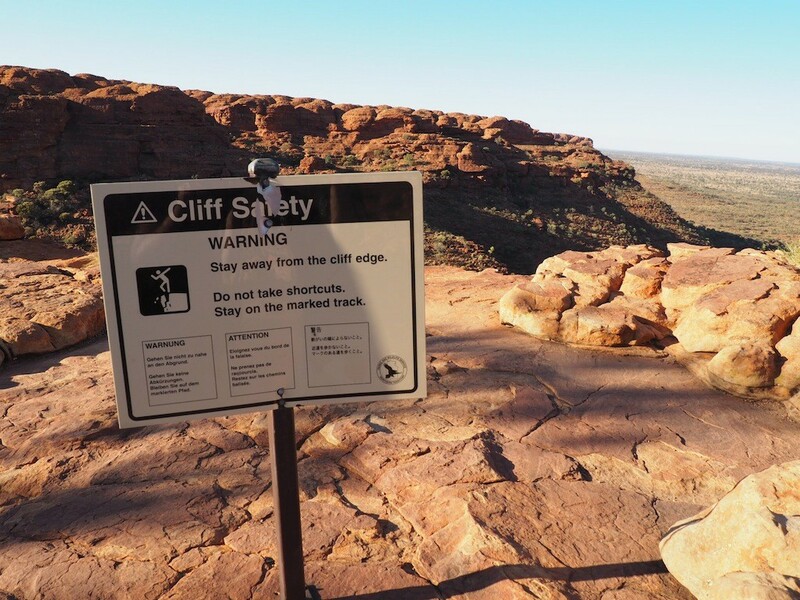 The first couple of kilometres are the most challenging as you make your way towards the summit of the 100 metre high canyon. 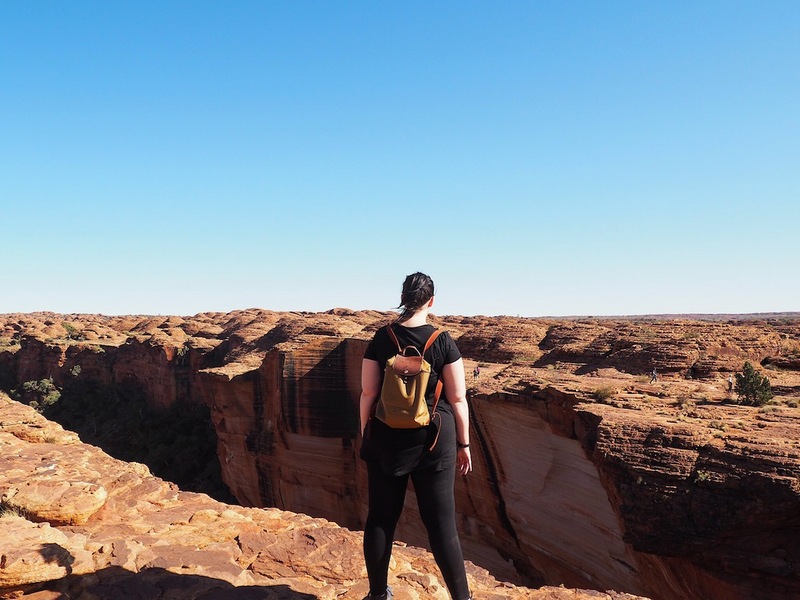 Handily, there are approx 500 steps crafted out of the rock and when you finally make it to the top (possibly panting and chased by flies) you’re treated to a glorious view over Watarrka National Park. The trail then winds its way around the top of the canyon, past plants you have no idea could survive out there and around giant eroded domes that look like they’re from another planet. About half way round you’ll spot some steps heading down into the canyon. Although initially put off by the thought of adding an extra 30 minutes to the trek we were pleased in the end to have made it to the Garden of Eden. The effort was well rewarded by the serene rock pool we found at the bottom. The last stretch of the rim walk is the most scenic, in my opinion. 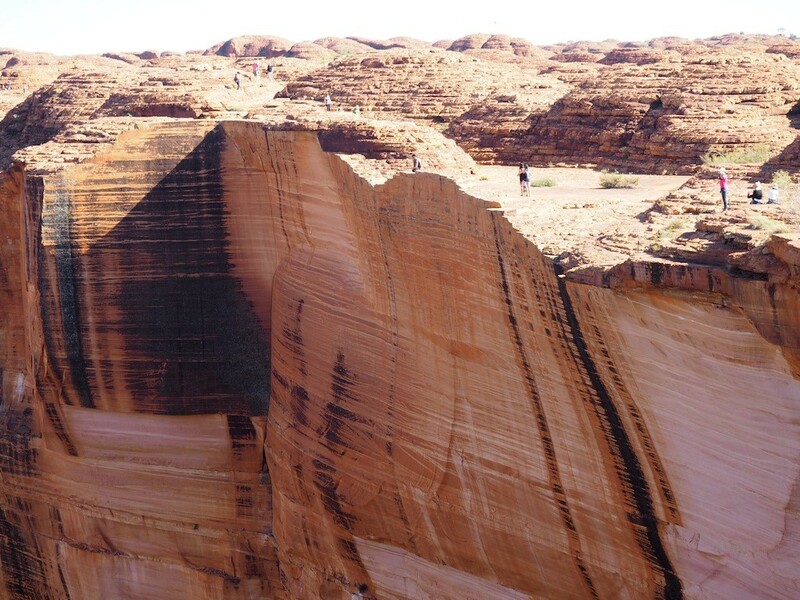 As you approach the final elevated section, the sheer height and steepness of the canyon is revealed and the colour of the sandstone, eroded through the ages, is breath-taking. Having a rest – not too close to the edge! You’ll need very sturdy footwear, some parts of the trail are pretty craggy. Start as early as your body will allow. Aim to be at the top of the canyon before the sun reaches its summit. 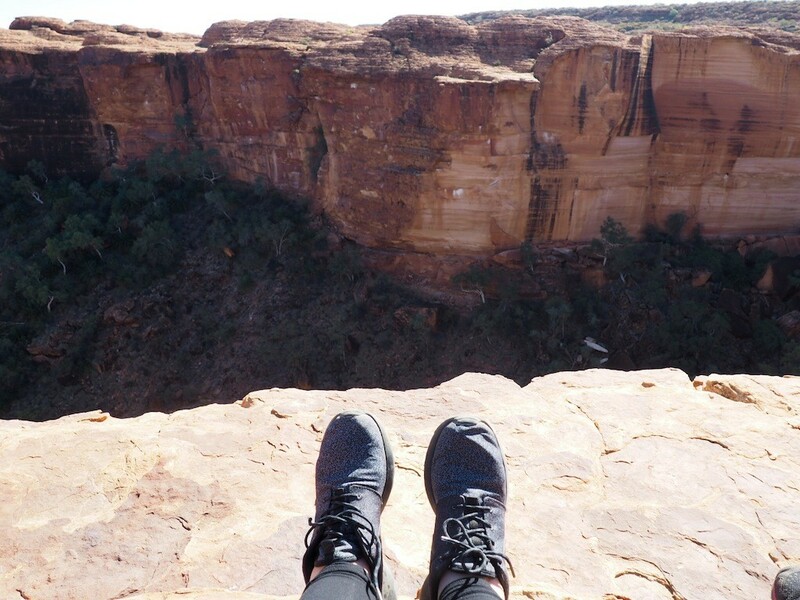 Don’t get too close to the edge for the sake of a good picture. It’s a long and expensive journey to the nearest hospital. Ask your accommodation to lay out some food or snacks for you before you start and pack a few in your bag. The Garden Of Eden is a great place to munch a muesli bar. There are bathrooms in the car park but if you need to go before that you’ll find a good ‘bush loo’ at the top of the stairs that come after the Garden Of Eden. It’s recommended you take 3 litres of water per person for the hike, although we could only carry 1.5 and just drunk lots in the car park before and after. Drink every 15 mins even if you don’t feel thirsty. Wear protective headwear and, depending on the time of year, you may want to bring a fly net too. 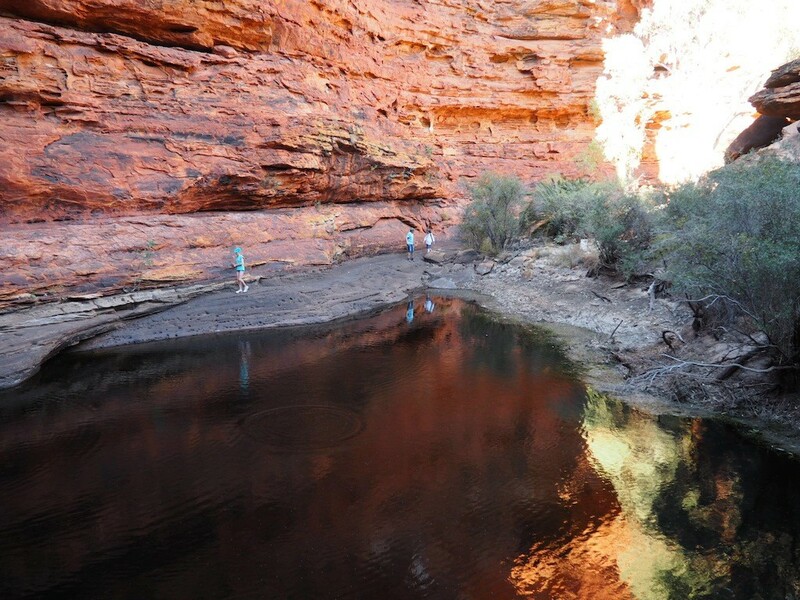 There is a shorter, less strenuous walk you can do instead (or in addition) to the Kings Canyon Rim Walk called the Kings Creek Walk. 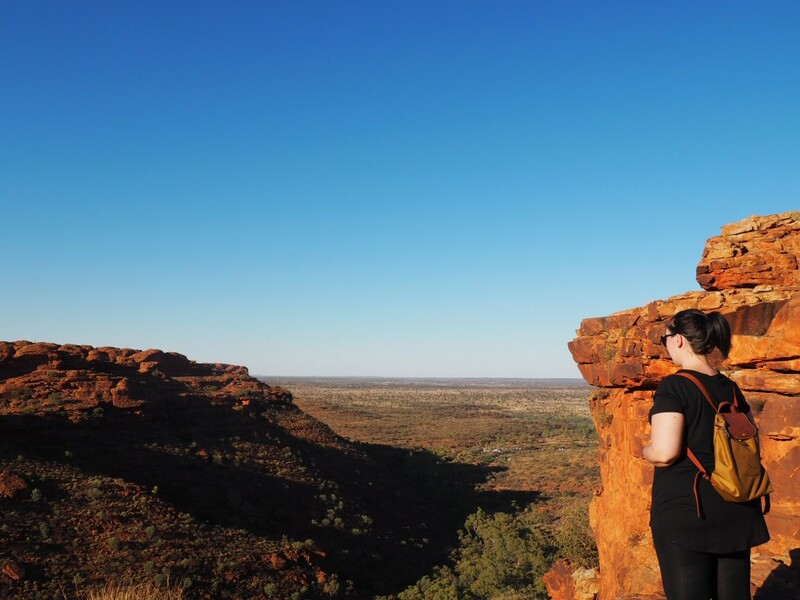 This 2km return walk meanders up the centre of the canyon to a lookout point on the left hand side of the valley. On the home stretch heading back to the car park. 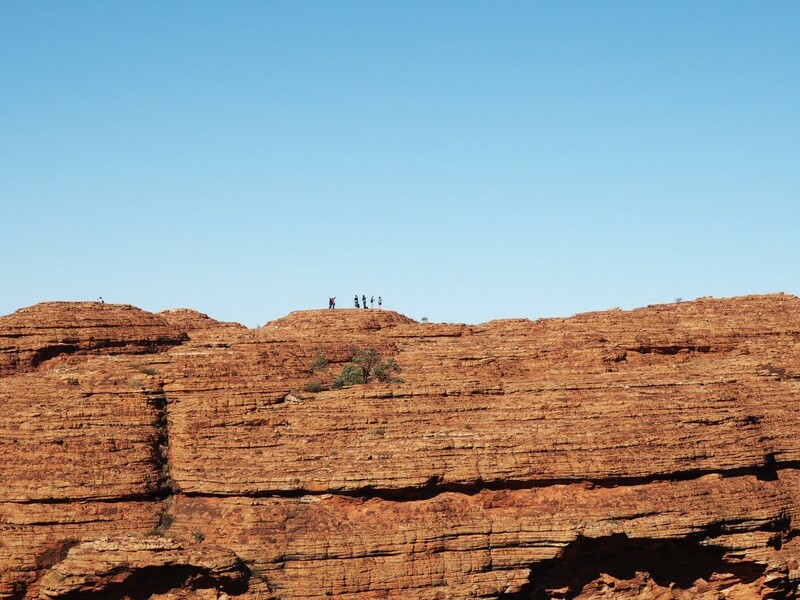 I visited the Red Centre in association with Austravel (0800 988 4834 ). I did this hike a couple of years ago. Absolutely worth it to wake up that early. 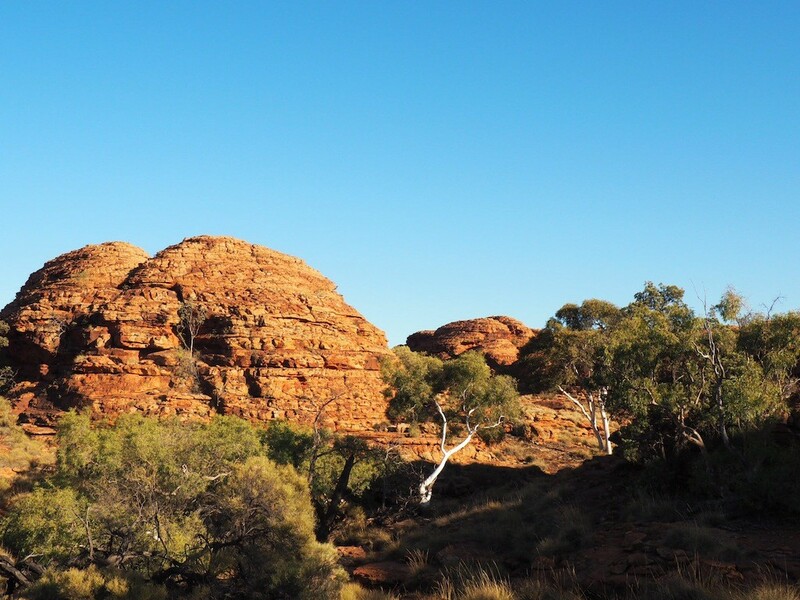 Such a stunning place, I did the 3 day Uluru Tour (Uluru, Kata Tjuta & Kings Canyon) and actually liked Kata Tjuta and Kings Canyon more than the reason why I actually came to the Red Center. What about you? What did you like most? That’s so interesting Stef. 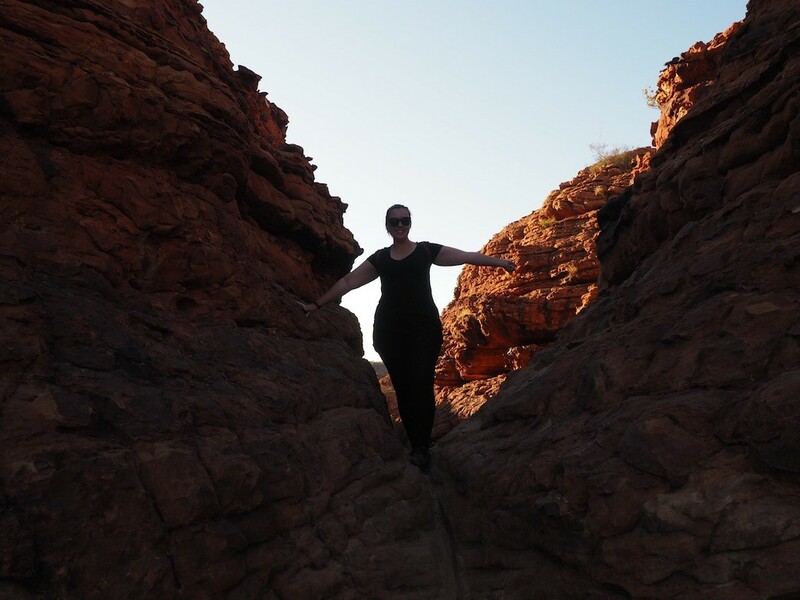 In terms of hikes/walks I definitely agree that Kings Canyon and Kata Tjuta are better but I think, for me, seeing Uluru – in all it’s otherworldly, sacred glory – could not be topped! This looks an enjoyable amble! 🙂 Another one to add to future australian adventures! 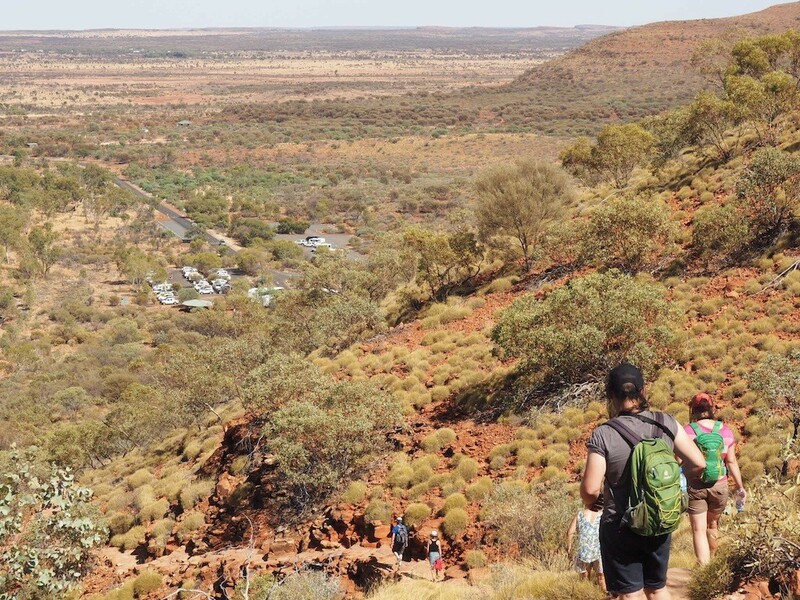 This walk was a real highlight for me in The Red Centre. Once you get up the steps at the beginning you can just enjoy the assault on your visual senses whilst walking round. Great place to visit. Completely agree. That challenging start is definitely worth it!